Our 1 liter wash solution is for use with the ELAN 5000 in atomic spectroscopy. 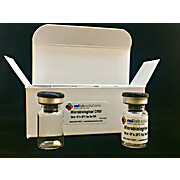 Molecular Biology Grade Provides highest purity to prepare you reagents, free of DNAse, RNAase and proteases. 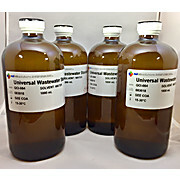 Designed to reduce the number of standards you need to manage your lab, our Universal Wastewater Standard is certified for 13 conventional pollutants. In ready-to-use bottles.